Thanks for that, out of stock but I have ordered + TCB. Not actually out of stock, it's a non-stock item (ie never in stock) available to order only. Your franchised dealer would probably charge around £60 for this or something similar with a service... so should be red hot! It's not 505.01 oil for PD, you can check the actual specs on the Petronas website. so is this PD oil? any good for my petrol auto Mercedes C class 2 litre 2001 anyone? I have bought some and it has doesn't have 505.01 on the bottle only VW 502.00 / 505.00. Please don't buy this thinking it's ok for PD it's not. Yes.... but the spec on the UK website is wrong! seems stange its 505.01 on the uk Petronas website so its not just as if Eurocar parts have made the error. with what may come from Eurocar parts. I bought it from ECP last week, other retailers selling this don't list the 505.01 specification so I think it's an error on the ECP website. You need the Syntium 3000 AV for the 505.01 spec which is a lot more expensive. So it looks as if the product supplied by ECP may either be to an older spec or the correct stuff in old packaging. Worth querying with them and Petronas and grounds for return & refund if incorrect. i've just had an online chat with them, and their sales guy has given me a returns number. i really hoped it was up-to-spec, especially for this price. the fact that they have given me a returns number doesn't mean that they've admitted the product is not upto spec - prob just that it's easier for them just to issue a refund. ok - new development - i've contacted Petronas HQ - and they state that the oil supplied to ECP is manufactured in Spain, and meets the 505.01. 2) or if the oil is not 505.01, and the websites need to update their specifications, so that 505.01 is REMOVED. He stated that the Malaysian website is correct - in that the Malaysian spec oil is not PD compliant, that it is NOT 505.01 spec. as it's manufacturered outside of the EU. I told him about the online confusion, and that this thread existed. He's going to come back to me to clarify details. Hi, good price heat added. Don't mean to hijack thread, but for all you that require 505.01 THIS might be a suitable option albeit more expensive, but still pretty good value for the specification and 5Litres. Right, final post - I've just had the national sales manager come back - and here's what I was told. 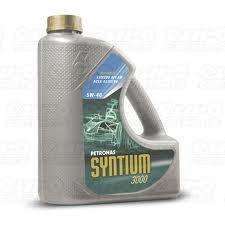 The Syntium 3000 was originally an oil for petrol cars. (it's been selling for the past three years). It's been approved by VW (he said he's got the VW approval fact sheet) as a 505.01 specification, which is a diesel specific specification. And they're going to update the website, and remove the reference to 505.01. He also said something along the lines of the fact that the 3000 AV is definitely a 505.01, and is the better oil anyway, and from a commercial point of view, that's maybe why they're not going to renew the approval on the lower priced product. So - it's one of them, the product is apparently good to go as a 505.01 spec oil (cost me £13.30 (£19 -30%)). I'd ordered the 3000 AV before I spoke to the sales manager, and that cost me £18.19. So is the extra £4.89 worth the extra piece of mind, and for a better product ?? £18.19 is still cheaper than the £27 I paid back in November when I last did my service! Either way - I'm impressed with the response I've had, considering I could just be some random on the internet ! LOL i dunno if I should pour this in my engine or not. Wonder if its worth asking VW for a upto date list of 505.01 approved oils. anyone received their order yet? i have, both ! got them within 5 working days.